Spoiler: It's 'Rick and Morty'. It took the foul-mouthed spacefaring duo from Rick and Morty to crush the dreams of Sheldon Cooper and beat out The Big Bang Theory to become the top-rated comedy among millennials on television. If the watching habits of millennials are any indication, then most viewers 18-35 wouldn’t have it any other way. Newsweek announced in September that Rick and Morty officially became the top-rated TV comedy, beating out the likes of Saturday Night Live, Modern Family, and yes, even The Big Bang Theory. Adult Swim’s formal announcement Wednesday confirmed that Rick and Morty thrives with adults 18-24 and 18-34 based on Live+7 ratings data spanning from December 2016 to the middle of September 2017. 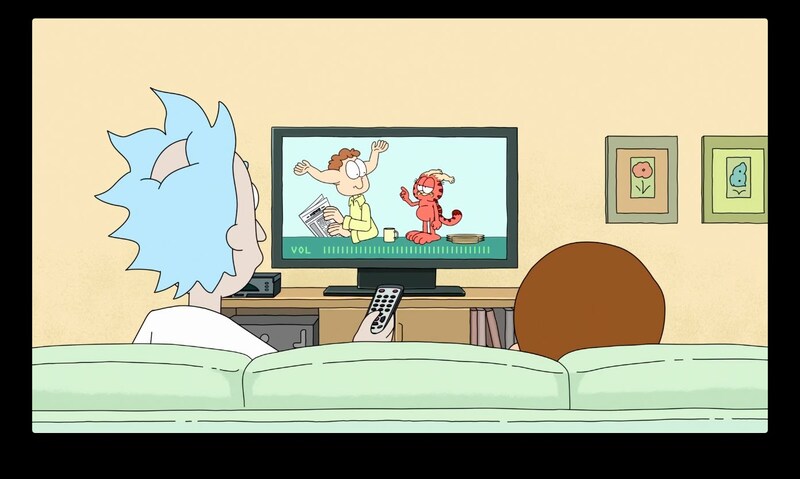 Live+7 combines live viewing with DVR viewing for up to 7 days later, combined with direct streams from Adult Swim’s website — the only way to legally stream Rick and Morty Season 3 — to come up with the sum total viewership ratings. Would Morty like 'Big Bang Theory'? Considering almost all of Season 3 ran at 11:30 p.m. Eastern on Sundays, chances are the vast majority of Rick and Morty fans watched episodes the next day or several days later, so factoring in Live+7 is all but essential. All numbers considered, Rick and Morty put up 2.5 million adult viewers per episode this year to The Big Bang Theory’s 1.8 million. Here’s what is surprising: Rick and Morty is one of the darkest and offensive things on television, whereas the bland Big Bang Theory resonates with viewers but not critics and offends virtually no one with its blasé laughs. Unoffensive and simple has proven a marketable model for Big Bang Theory, which just expanded into surprisingly alien territory with Young Sheldon. But there’s something almost inspiring about a show like Rick and Morty that can be utterly insane, violent, and full of cuss words while still bringing in enough viewers to turn a decades-old McDonald’s sauce into a bonafide cultural moment. Rick and Morty fans mobilize in droves to follow the Rickmobile and to cosplay at comic-cons, while the older-leaning Big Bang Theory demographic mobilizes to their living room to watch more of a show that may have overstayed its welcome with younger viewers. If you liked this article, check out this video of an Evil Morty fan theory on Rick and Morty.